A manuthiha is a seated creature with a human head and the body of a lion. Believed to ward off danger, they are sometimes found guarding the corners of a pagoda. 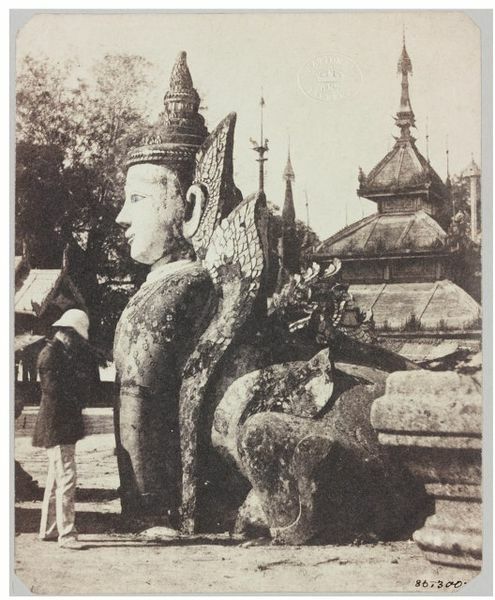 The Shwe-Dagon Pagoda,where this is one of many such figures, is dated to about 600 AD. 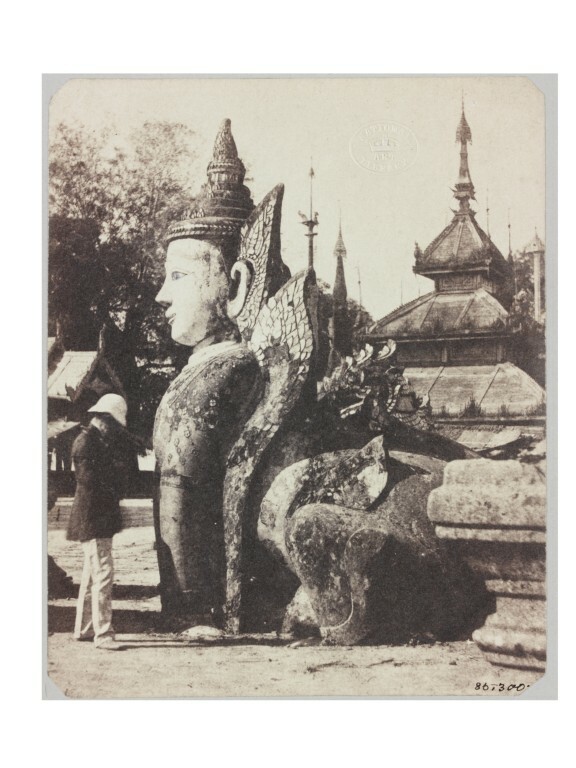 John McCosh was a doctor and amateur photographer stationed in Burma during the Anglo-Burmese War of 1852. This rare photograph is one of the earliest surviving images of the region. 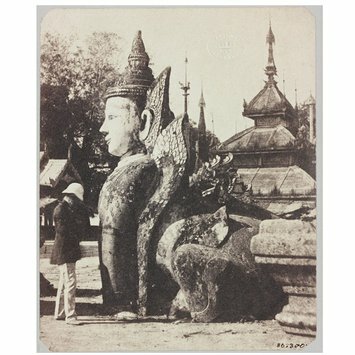 This photograph shows a European man in uniform standing infront of a manuthiha, a seated creature with a human nead and the body of a lion.